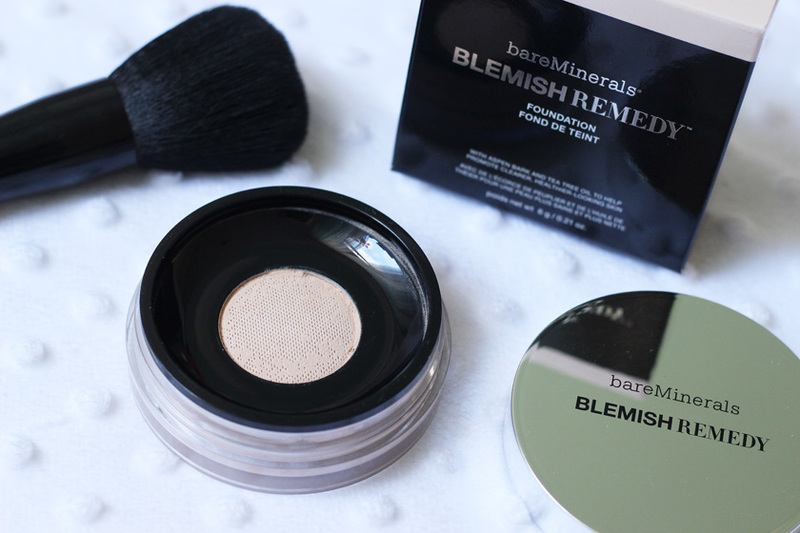 I really like mineral powder foundations and the bareMinerals Blemish Remedy Foundation* (£23.40) is my new favourite. 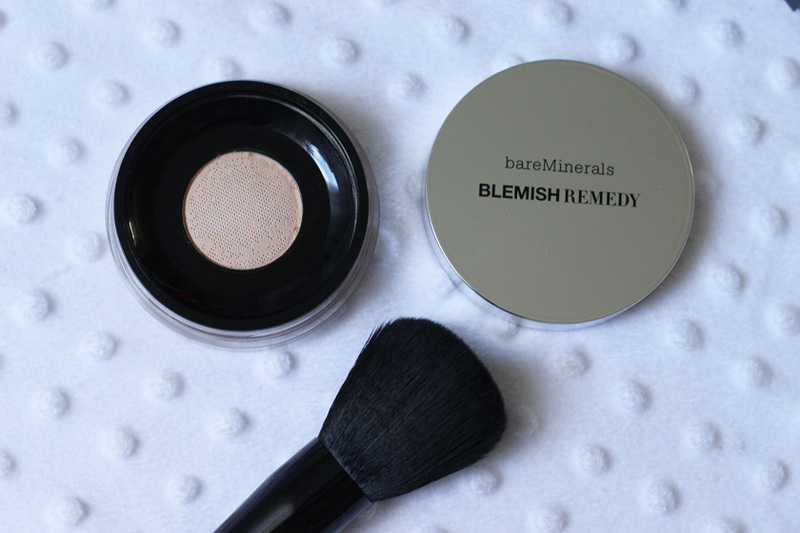 I have been using it for a while now and I can definitely recommend it, especially if you have blemish prone skin. 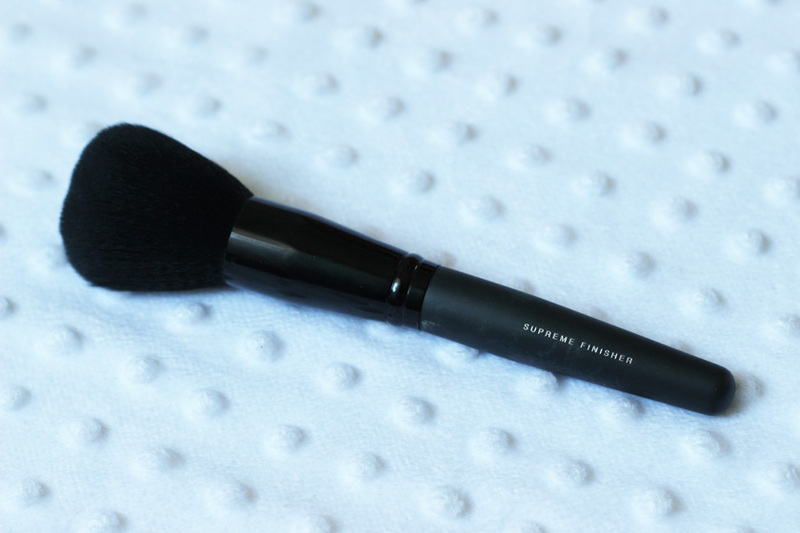 The Non-comedogenic formula is non-drying, lightweight and gives a natural looking finish, while concealing imperfections really well. It promises to help reduce the appearance of blemishes and redness thanks to Tea Tree Oil & Aspen Bark and it also keeps oil and shine at bay. 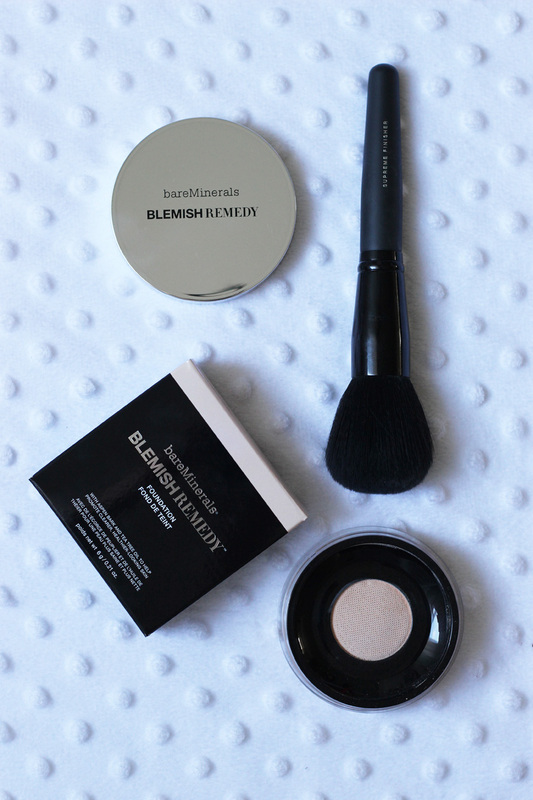 I use it lightly with the bareMinerals® Supreme Finisher Brush*(£21.60) when I want a little bit of coverage, or with my Real Techniques Buffing Brush when I need a more flawless finish. I also love using the foundation as a finishing powder, as it sets liquid formulas nicely, makes them last longer and adds extra coverage. Lovely! My skin has been quite bad lately, as my hormones after having a baby are allover the place, but this foundations seems to let my skin breathe better than anything else, doesn't clog pores and actually helps to heal blemishes. 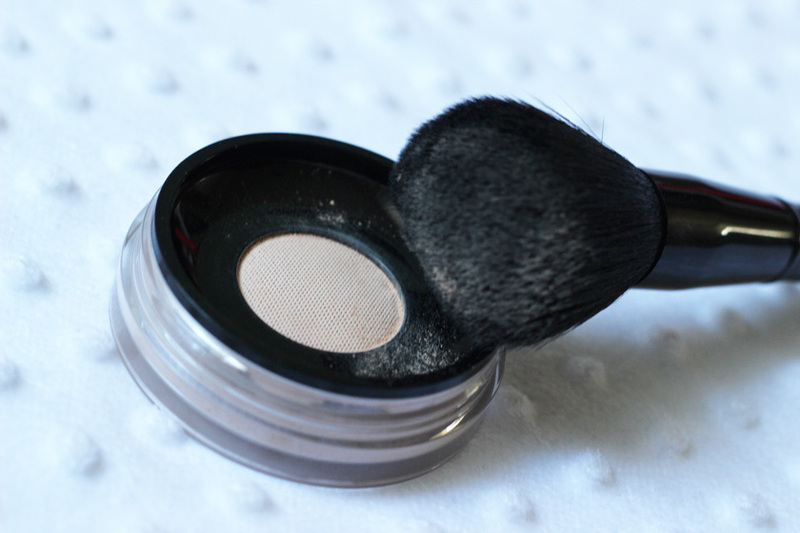 The packaging is quite clever as well, as the little mesh on the top stops you from getting too much on your brush, so you don't end up wasting a lot of product. 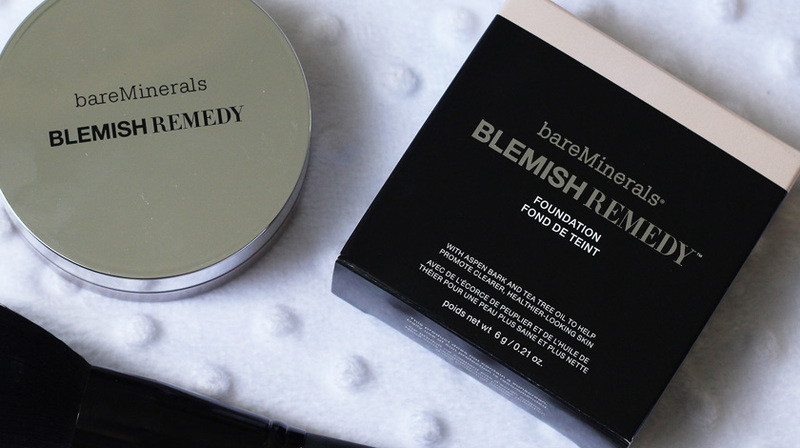 Overall, it's a lovely foundation and I am very pleased with the finish and the way it lets my skin breathe, even when I use more than one layer. Available from feelunique.com in 10 shades.